Bank-Alfalah is private bank in Pakistan . It have multiple Branches in overall Pakistan Area. 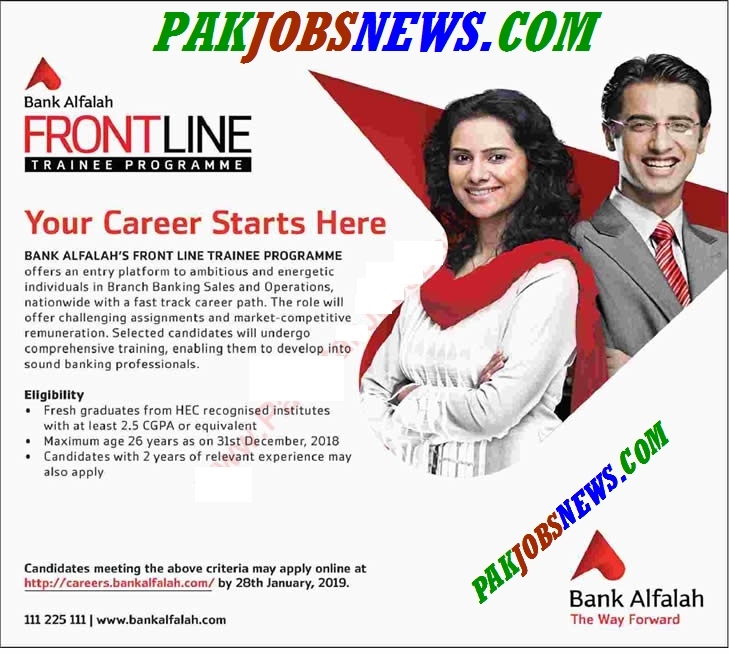 Now they have announced the 500 Vacancies of Front Line Trainee Officer in overall Branches of Pakistan.